Rare diseases, exceptional people: Filippo Buccella has battled for 25 years to improve care for children with Duchenne Muscular Dystrophy (DMD) and discover new treatments – now the fight is beginning to be won. Fighting for diagnosis and treatment can be a lonely battle for parents of children with a rare disease. Around half of all rare and life-altering conditions strike in childhood, which puts the onus on their often isolated and fearful parents to find answers. Thankfully, science has advanced greatly in the last 20 years, as has the readiness of health systems to diagnose and treat rarer conditions. But much of this progress has only been possible thanks to the dogged determination of families and the patients themselves. This is certainly the case in Duchenne Muscular Dystrophy (DMD), a cruel, muscle-wasting condition, primarily affecting boys, which eventually robs them of their ability to walk, and drastically shortens their lives. Caused by a single gene mutation found on the X-chromosome, 1 in every 3,500 boys is born with the disease, making it the most common fatal genetic disorder diagnosed in childhood. For many years, the medical establishment told Duchenne parents that nothing could be done. But the tireless drive of families to give their sons with Duchenne a longer and better quality of life has helped transform expectations and fund vital research. 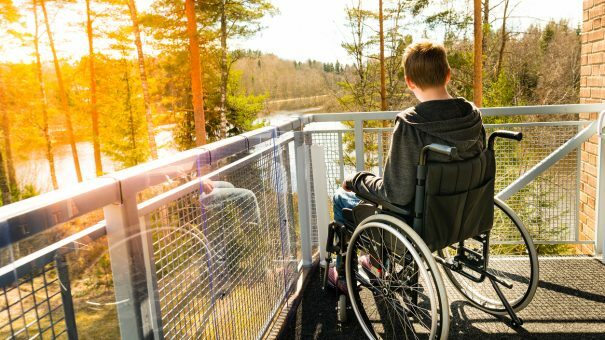 Today, huge advances in science and medicine mean a cure for Duchenne is no longer a pipedream; the first ever drug therapies have been launched in the US and Europe in the last few years, and many more potential treatments are in clinical trials. However, the currently available drugs represent only the first step towards halting the progress of this debilitating disease. For families, the fight continues, and the need for better treatment is urgent: most young men with Duchenne only live until their late 20s. Filippo Buccella from Italy is one of those tireless campaigners. The father of Luca, a young man with DMD, Filippo has been a trailblazer in raising awareness and funds for research in Europe for 25 years. “Luca was born in 1990 and brought immense joy into our lives as our firstborn. But we soon realised that something wasn’t quite right, because he wasn’t able to climb stairs. It wasn’t until he was three years old that we received a diagnosis of Duchenne Muscular Dystrophy, and this included having to travel to London to see an expert physician to identify it. “I am a pharmacist by training, but I didn’t know anything about Duchenne. By the time he was diagnosed, Luca had a six-month-old baby brother, Giacomo, and of course we were concerned that he, too, would have the condition. Luckily, it transpired that Giacomo didn’t have the genetic deficiency which robbed Luca’s body of dystrophin, the protein without which muscles all over the body progressively weaken. Nevertheless, Luca’s initial diagnosis was grim. Doctors offered little hope for his future, saying there was virtually no medical treatment that would help him, and that he wouldn’t live beyond 14 years of age. “The doctors said he would be in a wheelchair before long, so to go back home and try to give him a good life while we could. But we couldn’t accept that – that’s not living, that’s waiting to die. When they write the history books in the future about how Duchenne was cured, it’s a sure thing that Pat Furlong will feature as one of the earliest and most influential campaigners for progress. Her two sons, Christopher and Patrick, had been diagnosed with DMD in 1984 and had met the same ‘medical nihilism’ Filippo had been confronted with. She defied the prevailing scientific wisdom and set up her own advocacy and research foundation, Parent Project Muscular Dystrophy (PPMD). “When we met she had just lost her two sons to the disease. I’ll never forget it. She came to my house in Rome and we had an ice cream on the terrace. Straight away we started talking about what we could do for other boys with Duchenne and their families. Filippo decided he needed to spread the word. He took to travelling around the country at weekends with his wife and two sons in a camper van, bringing much-needed information and a message of hope to other families in the same position. “We decided to turn it into an adventure. We’d travel round meeting other families with the same problem one by one, getting them involved and starting to fundraise. I’m an amateur rock musician, so we would organise concerts to help raise money. Fast forward to February 2018, and Filippo is recounting his story to me in his home city of Rome, just ahead of the 16th International Conference on Duchenne and Becker Muscular Dystrophy (BMD), of which he is a co-chair. Filippo’s work in arranging these conferences for the last 16 years has helped focus and stimulate medical research in Europe and beyond, and these efforts are finally starting to pay off. This year’s conference in Rome brought together 600 people from 34 countries around the world, with academic and commercial researchers presenting their latest studies. A full pipeline of drugs was discussed at the conference, with a range of different molecules in pre-clinical development, all the way through phases 1, 2 and 3. This represents a transformation in research, a field which has been invigorated since the approval of Exondys 51 in the US in 2016 and Translarna in Europe in the same year, the first ever drugs to treat DMD. The approved drugs have relied on ‘conditional approval’, whereby they must prove their full safety and efficacy within the first few years of treating patients in the real world. As in other therapy areas, it may well be combinations of these emerging therapies which help most patients. He says gene therapy has had a chequered history over the last 20 years, and researchers and campaigners have been right not to put all their eggs in that basket. Nevertheless, the potential for an outright cure is there: gene therapy could one day soon restore full dystrophin production in all DMD patients. A number of different gene therapy trials around the world are already underway in Duchenne, including one funded by the PPMD. At the conference Pat Furlong announced that a second patient with DMD was dosed on 15 February in a gene therapy trial conducted by Dr Jerry Mendell, Dr Louise Rodino-Klapac, and their team at Nationwide Children’s Hospital in Columbus, Ohio. This was funded in part by a $2.2 million grant from PPMD as part of the organisation’s Gene Therapy Initiative. The conference also hosted its own poster session and assigned two awards for the first time, one for the best young researcher in Italy in the field of DMD/BMD and the other for the best young scientific communicator in Italy. Another first was a meeting dedicated to BMD, a rarer, but not so severe, variant of the disease caused by a different genetic mutation. Nevertheless, the need for a powerful patient advocacy voice in research, treatment options and early and appropriate access to new therapies is greater than ever. The good news is that Luca didn’t die at 14 years of age and is still enjoying life at the age of 27, despite being confined to a wheelchair and with very limited use of his arms. This is thanks to co-ordinated care to treat the symptoms of DMD, including medicines to maintain his muscles and lungs and cardiovascular health, which present some of the most dangerous problems for people with the condition. Proactive care, also including rigorous physiotherapy, is allowing boys with Duchenne to grow up into young men, and average life expectancy is now much improved, with many living into their 30s and beyond. Filippo says he drills it into parents of boys diagnosed with Duchenne that planning for as normal a life as possible is the only way forward, and that includes staying in full-time education. Filippo says his extensive travels with Luca over the years meant they learned to speak English together. After that, Luca pursued his love of cinema with a university degree in film and TV studies. He now has what many would consider a dream job, immersed in his greatest passion. “He’s happy because he’s doing what he dreamed of when he was a boy,” says Filippo. “When he was eight years old he decided he wanted to work in the movies. Everything has to be related to movies. So now he works for Disney and translates the press materials for every new movie launch. Everything in the newspapers in Italy has been translated from English by him. Luca is himself a campaigner and advocate for Duchenne, and frequently gives inspirational talks about how to live with the disease. The evocative science fiction world of Star Wars – in which the first film was entitled ‘A New Hope’ – makes for great escapism. But Luca has hope for progress in real-life science and also believes people like him need to learn to live in the real world and come to terms with their disease. 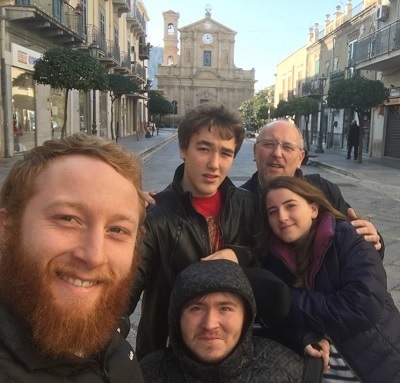 As the father of a young man affected by DMD, Filippo has been working since 1996 to advocate for Duchenne and Becker patients in Italy, Europe and worldwide, always convinced that their work could open a new path for many other similar diseases/conditions. Filippo is also a pharmacist and his knowledge of the mechanisms of action of drugs and/or drug development is very helpful when it comes to translating complicated topics for families and patients. 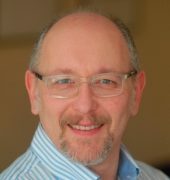 He has been involved with patient registries from the very beginning and has set up a national DMD/BMD patient registry in Italy, which has been instrumental for conducting clinical trials. In his past role as president of DPP-Onlus Italy he established good working relationships with many other organisations worldwide. This network proved invaluable when he was on the executive committee of the TREAT-NMD Alliance and the United Parent Project Muscular Dystrophy. 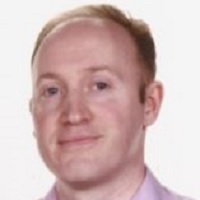 Filippo is keen to continue his work to amplify the voice of patients as key stakeholders and collaborate with patient organisations to represent their views in the World Duchenne Organisation.